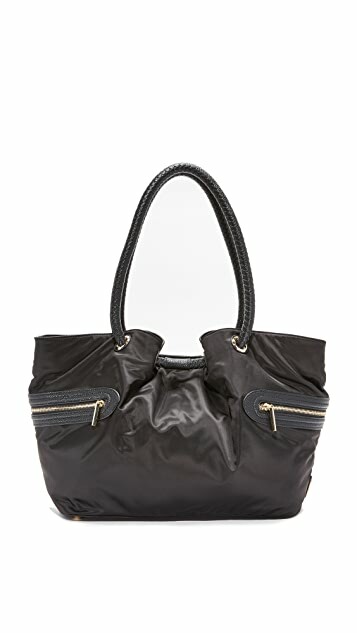 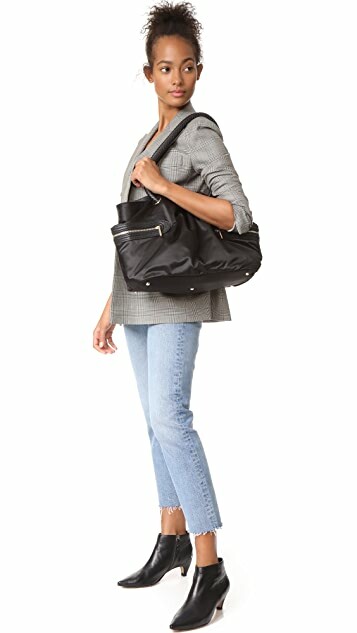 A slouchy nylon Rosie Pope baby tote with faux-leather trim. 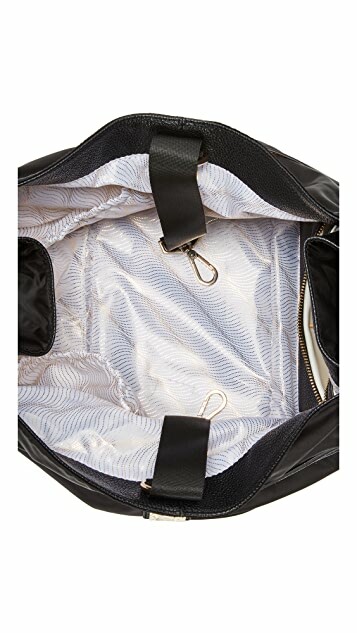 Features a washable changing pad, a tethered bottle cooler, and 2 external zip pockets. 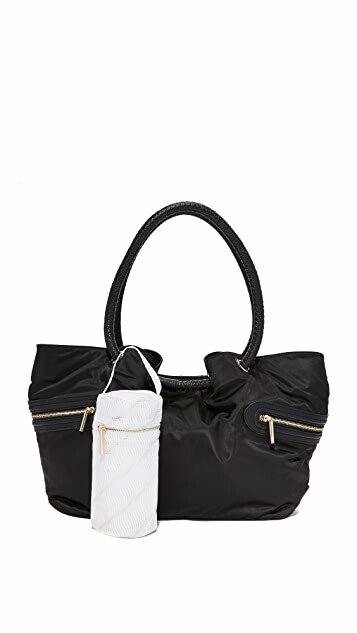 Braided double handles and universal stroller straps. 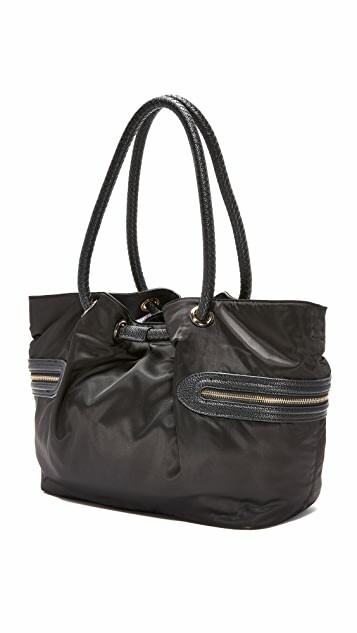 Nylon-lined interior with a zip compartment and 3 elastic notch pockets.